YES, you are signed up now! Keep on Rocking! In 4 days, I teach you how to grow your social media accounts. Create blazing posts to help you find enough customers and invite them elegantly to your creative offers. 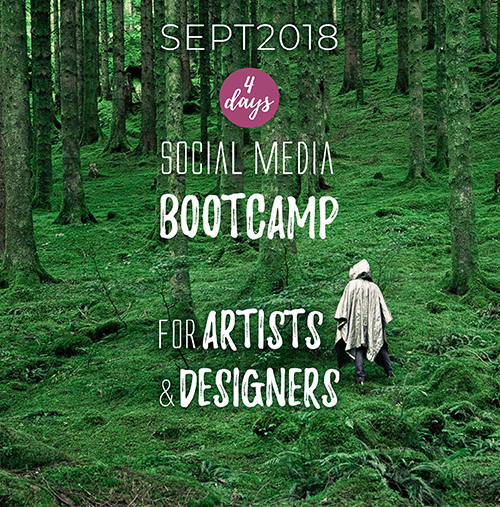 This social media bootcamp also includes a lifetime membership of the online program Grow Your Own Social Audience and 4 days of personal coaching into the woods on a centre location in the Netherlands. All teachings are in English. 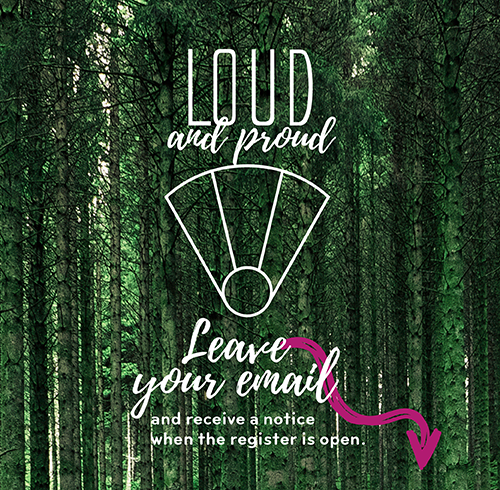 Loud and Proud is for the so called crazy ones who need to be out of their studios, be into nature and meet like minded creatives. Next to a campfire under the stars to redesign your own strategy and stories. So you will be fired up to transform the world. 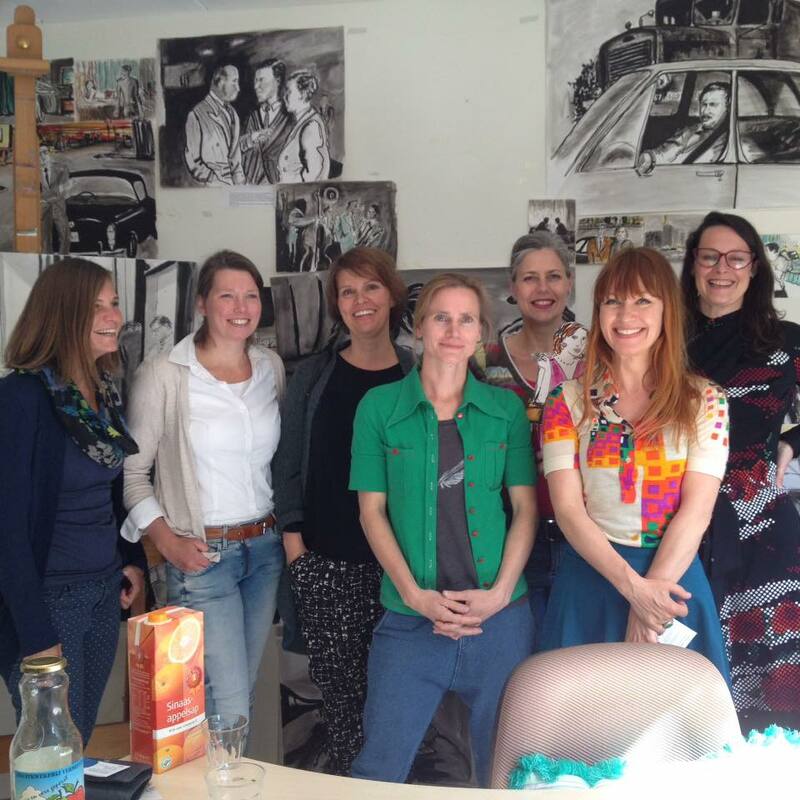 a designer, artist or creative entrepreneur? Do you feel that you don’t get everything out of social media right now? You see the social media opportunities but can’t get a grip on them? Do you realize that you are an entrepreneur as well as a creative spirit? That your posts so far, do not make the impact you aspire? Then it’s now time for you to make it work! And not to forget how it will work for you. My name is Moniek Classens and I am the founder and designer of my own swimwear brand. I create swimwear that fits every woman perfectly. Even for bigger cup sizes. Clothes can tell so much about a person. I think fashion is the most inspiring way to express yourself. I like to create designs that are timeless with a classic, chic style. I think it’s a waste to create something which goes out of style within six months. My clients can wear one of my bikinis for many years, because they are designed that way. The real magic starts when people feel that this swimwear is designed with passion for quality and that it comes from the heart. My swimwear is not available in regular shops, because my brand focuses on the woman who likes to distinguish herself. I create swimwear for women who express their personal lifestyle in an elegant and timeless way. Before I entered the GOSA program I faced the problem of lack of sales and followers on social media. I posted and posted, but I didn’t get any followers or clients out of my social media work. I was really frustrated. My biggest breakthrough from working with the GOSA program, is that I got the insight that I really wasn’t using any strategy. I thought that if I just posted some nice pictures, it would all be okay. Business would take off. But it wasn’t working out that way. I like working with Charlotte because she really gives you the tools to take action. The most valuable lesson I took from the GOSA program is that I have to tell the story of my brand. Not to just post some random pictures and hope that my audience gets it. 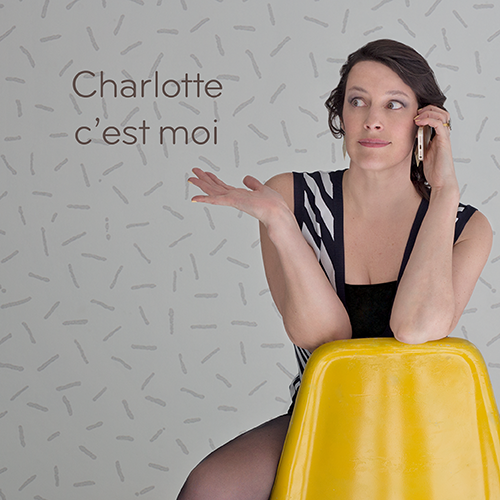 The creatives that want to work with Charlotte should know that she is very goal oriented. She is also able to see your business totally from your perspective. She’s been the perfect sparring partner to get my social marketing on track. One of the nicest qualities of Charlotte is that she thinks along with you, no matter what level you’re at right now. Charlotte challenges you to think beyond the general marketing approach, and that’s also why the GOSA program is great to work with. I would definitely recommend the GOSA program to other designers. You’ll be surprised at what you’ll learn besides enlarging your social network. I have been studying for 25 years on how to live and make money using my artistic talents. Also, as a creative entrepreneur, I have overcome conflicting beliefs about what I bring to my costumers, so I could start accelerate in my enterprise. I know the stress in your body and head, the fatigue. And that you have to say ‘no’ to fun things. That you can’t even tell your partner how much you can contribute to the family budget next month. How to open the way to people and organizations that suits your work. Telling stories your audience appreciates and start talking about the added values of your work in a way that makes you feel comfortable and attracts more people. You have to do that yourself first! Nobody else does it for you, or as in the way you would approach your subjects yourself. You know what’s right and only you can do it in your own unique way. For over eleven years I help creative entrepreneurs and organizations to discover and tell their stories. I make sure that they can build and maintain an audience and relationships for a constant stream of income. This provides room for growth and new initiatives and energy. To see them rise, giving me the greatest joy. I’ll help you to get into motion and take THE step into the spotlights. I know it’s within everyone’s reach to build a personal income stream based on a drawn up strategy. I’m constantly working on an expanding audience myself by creating and spreading alluring content. I will take you step-by-step how to do make it work. In a loving atmosphere with like-minded people. And then this first new purchase is done by an unknown buyer… suddenly more opportunities will follow. I am looking forward to meet you.